Marimekko dresses, checked Thai silk and old wall treatments characterise Marion Hall Best’s work. Photos: Genevieve Jacobs. Long before we were the cool little capital, Canberra was a hothouse of mid-century design excellence. 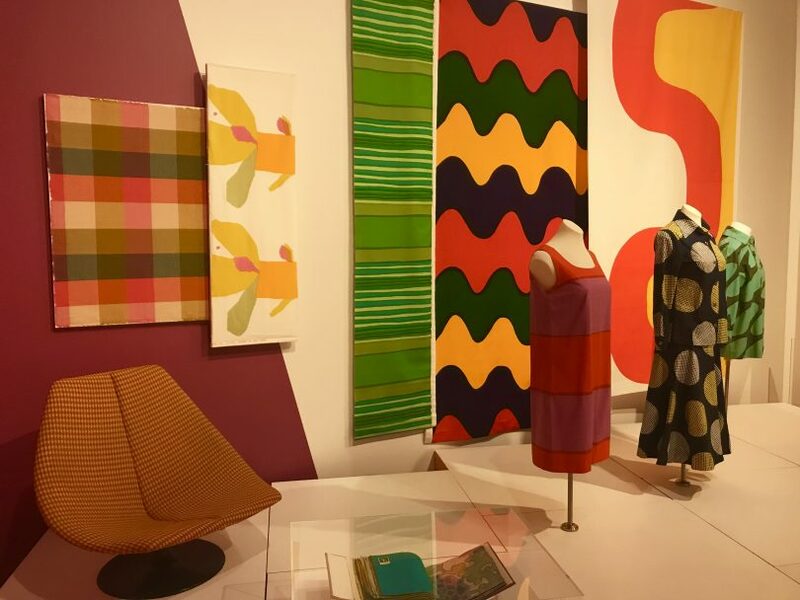 Forget Scandi-cool or the art of living Danishly: Canberra Museum and Gallery’s latest exhibitions celebrate interior designer Marion Hall Best’s striking strong colours and the sleek beauty of the ANU Design Workshop’s output. 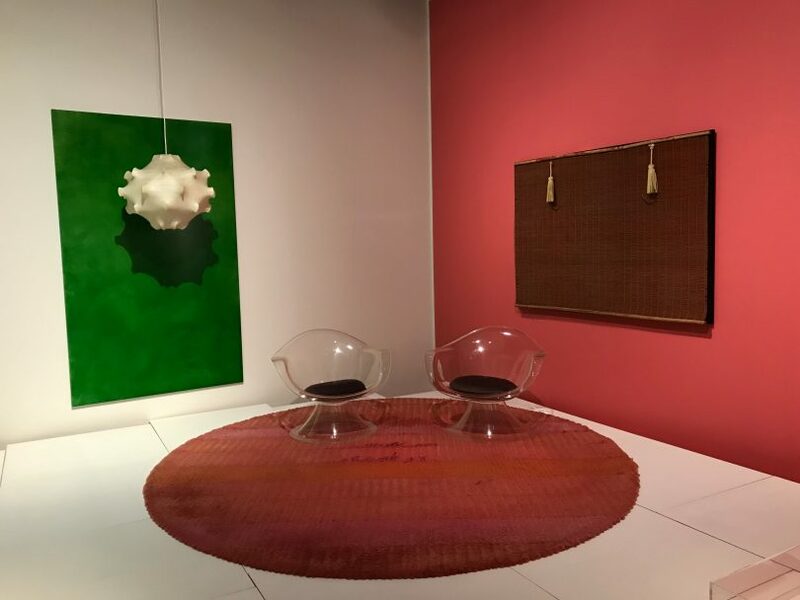 Emerald green walls, Marimekko textiles, intricately carved apple swans and pigs in blankets were the order of the day when doors opened on the twin exhibitions, each linked strongly with Canberra’s design legacy. Marion Hall Best was Sydney-based but highly influential in her day: her Canberra connections include interiors for Currandooley, the house Enrico Taglietti designed for the Osborne family at Bungendore and the Cater family house in Red Hill, designed by Allen Jack & Cottier. Hall Best pioneered a technique for intense, glazed wall surfaces. The exhibition showcases the powerful effect Hall Best had on modernist interior design in her day. Believing that Australia was a place for strong colour to match the strong light, she used rich, saturated pink, red, orange and green and collaborated with the legendary Jim Thompson on Thai silk fabrics to finish her interiors. Working with craftsmen, the designer perfected a wall glazing technique, applying one colour over another then scraping it back so some of the original colour came through, resulting in a ‘glassy, cool, translucent look’. So intense were the colours that one client said it looked like the designer had thrown spinach at the walls (Lady Hall Best was not amused). Around the same time, designer Fred Ward and architect Brian Lewis, working together, encouraged the rapidly expanding ANU to establish a design school. The intention was to foster a design philosophy that flowed between interior and exteriors and encompassed architects, designers, landscape architecture, furniture and even graphic design. Sleek design and impeccable craftsmanship defined the ANU Design Workshop output. Total Design: Derek Wrigley and the ANU Design Unit 1954-1977 details the history of the University’s in-house designers, which started as a team of just two – Fred Ward and Derek Wrigley. An accompanying book by Wrigley tells the story which began 65 years ago with the successful design outcomes for University House. “That made the ANU realise that if it was to create a national university, it had to commission architects and design everything inside the buildings that would make them alive and comfortable and useful”, Mr Wrigley said at the launch. “The ANU design unit was a word first in educational institutions. Canberra was still a small town and had very few tradesmen who could handle the anticipated volume of work. But as the university grew and buildings proliferated, student numbers grew too and challenged the traditional method of chalk and talk lecturing. We had to implement design solutions on the run and they had to be right”, Mr Wrigley recalled. 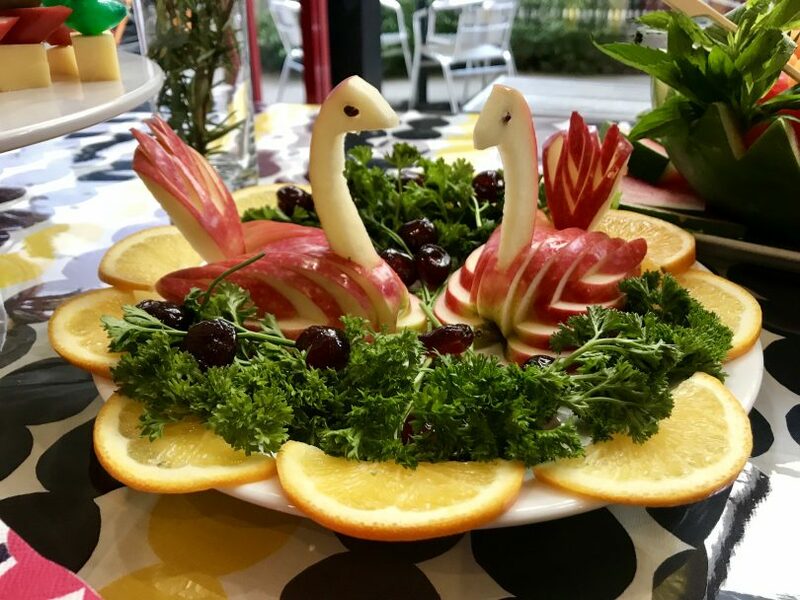 Apple swans and Marimekko fabric completed the mid-century vibe at the CMAG exhibition launch. At the same time as the ANU was rapidly expanding towards Civic, the NCDC was arriving from the opposite direction, and Mr Wrigley says the principle of “campus planning without walls” had to meet the design challenges that presented. “We worked with architects to get better access to seats, good writing surfaces, and electronic lecterns. Muddy patches between buildings needed landscaping, there had to be consistent signage, we had to get it all right”. The challenge was met by craftsmen and designers from around Australia and abroad, many of whom were at the launch. They included furniture designers, draftsmen and cabinet makers including one of the Jennings Germans, the 150 tradesmen from Germany who were enticed to Australia to fulfil a building contract in Canberra in the 1950s. “It was all done without computers”, Mr Wrigley said. “The various skills of all the Design Unit members contributed to creating an environment for learning and research. We broke ground in Australia at a time when design was being recognised as an important component of a well-ordered society”. 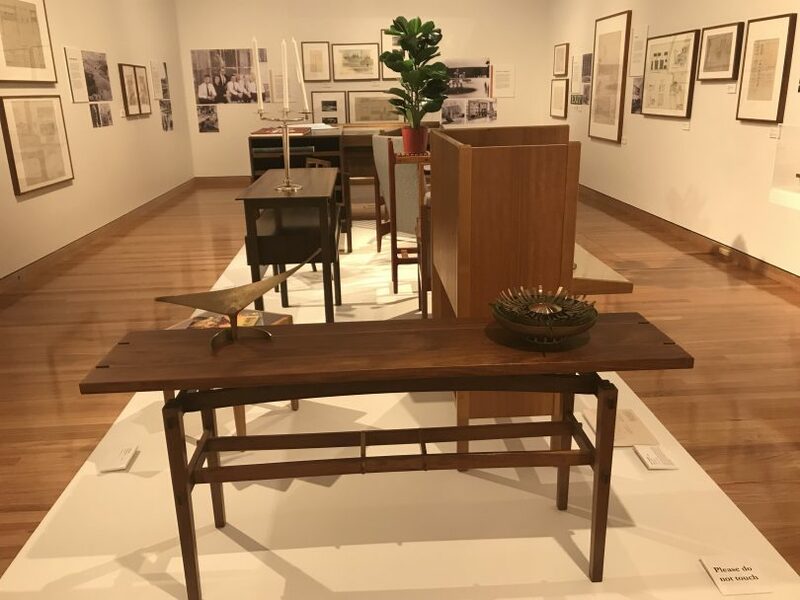 Marion Hall Best: Interiors and Total Design: Derek Wrigley and the ANU Design Unit 1954-1977 are both open until June 15.